AWESOME AWAITS at LEGOLAND® California Resort, where families with children ages 2-12 can enjoy more than 60 rides, shows and attractions! 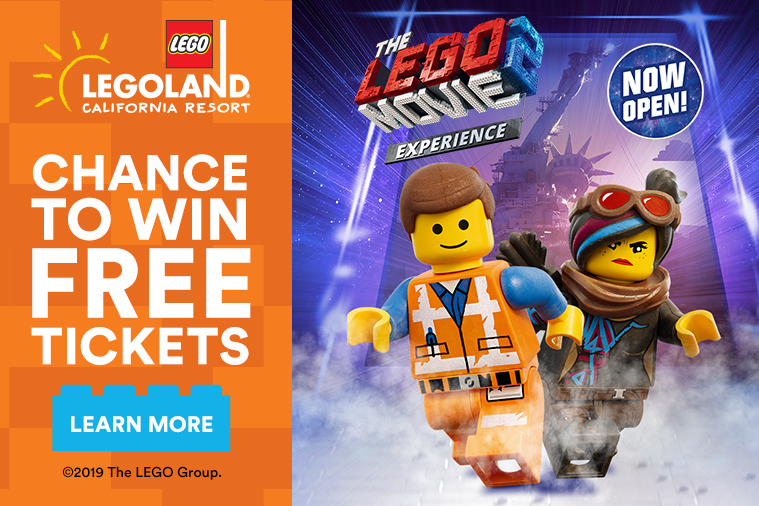 This spring break, go behind-the-scenes of an actual live movie set at The LEGO® Movie 2 Experience, now open only at LEGOLAND®! Then soak up the sun and cool off at the LEGOLAND Water Park, now open for the season, featuring the newest timed water slides – RIPTIDE RACERS. Chill out at SEA LIFE® aquarium right next door or stay and play at one of the two amazing LEGOLAND Hotels, just steps away from the Park entrance. For information visit LEGOLAND.com.